This should probably be moved over to the new Indie board and renamed as "[Katana][Alpha] OpenKatana"
If an admin can do that I'd appreciate it. A really rushed, but new, blog post! I really like the textures and lighting in the screenshots, grungy but with good depth shading and decorative patterns. I was thinking it looks something like Unreal, both lighting and texturing. Additionally, all the base content used for Katana (OpenKatana's engine) is being released here. Nothing major on there quite yet, but if anyone is interested in playing around with the engine then they will be able to use this content as a foundation for their own projects, and be sure to check out the license document that's included. Additionally if you're looking for documentation; https://github.com/OldTimes-Software/KatanaEngine/wiki. Sounds cool. 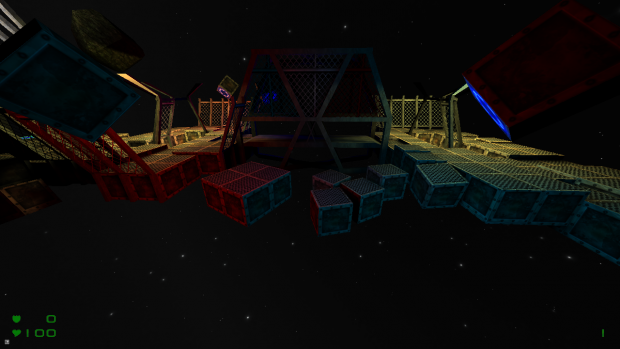 The space level look like it could be a CTF level with the red/blue lighting. The checkerboard level could have something more to it (or is it just to display the models?). Have surface flags or shaders been considered for the new bsp format? Transparency, flowing, etc. The crate spacemap looks awesome. qbism wrote: Have surface flags or shaders been considered for the new bsp format? Transparency, flowing, etc. The crate spacemap looks awesome. We've got a material system in the works (which works exactly the same as Quake III's "shaders"), but our BSP format currently won't account for materials right now due to some time constraints we've set ourselves (I implement too many new features rather than getting other things finished, it's a problem of mine), though there are plans to hook the tools up with the engine so that various sub-systems can be shared between the two, but again this might not be done for OpenKatana... We'll see. Flowing water would be totally doable without modifying the BSP format (I'll see if I can implement something like that when I get the time) but transparency flags within materials for the tools to check will be something I'll look into at some point; for now we just use brush entities for transparency which seems to do the job. jim wrote: Sounds cool. The space level look like it could be a CTF level with the red/blue lighting. The checkerboard level could have something more to it (or is it just to display the models?). 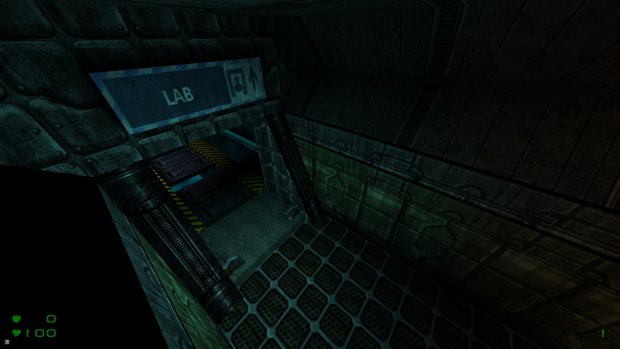 Spot on with the space level, it is indeed a CTF level; Lost Space is its name. 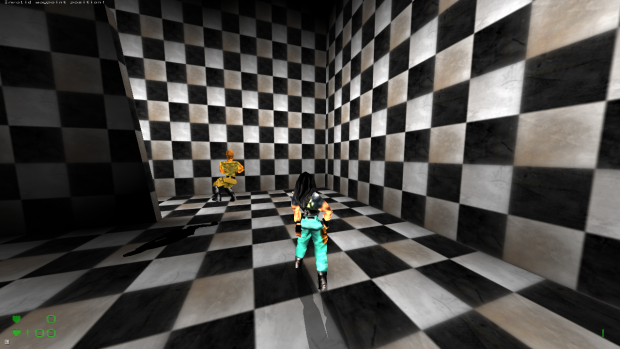 I should of added some clarity for the checkerboard level, but it's intended for testing bot navigation, which mind you isn't anything interesting yet purely because it's not been my focus; just some simple movement, animations, jumping and automatic waypoint placement (which takes in the players movement and actions overtime). I don't actually know why I published that screenshot but I suppose it gives some insight into things we don't normally show, meh. Is this a remake of Daikatana? What is the focus? Being faithful to the released PC version alone, or introducing elements from the betas / Q1-engine era / N64 versions of the game? Does it require data from Daikatana itself, or is it standalone? Where did the idea of this project come from? What inspired you to do it? What are the main differences between OpenKatana and Daikatana? OpenKatana's graphics looks really good, by the way. Specially the textures - and the green clouds are wonderful. This is a standalone game inspired by Daikatana, that's probably the best way I could put it. mankrip wrote: What is the focus? Being faithful to the released PC version alone, or introducing elements from the betas / Q1-engine era / N64 versions of the game? The focus is being something really cool to play that takes a lot of inspiration from Daikatana, hopefully being what most people originally expected while also introducing elements cut from Daikatana's development; a lot of ideas that come from their Quake Engine period of development and a few ideas also taken from after they moved to the Quake II engine. We're in a somewhat fortunate position with a lot of that, but there's so many legal considerations with a lot of it too, which is why we're swinging down the inspired route rather than the remake route. mankrip wrote: Does it require data from Daikatana itself, or is it standalone? OpenKatana is completely standalone, it uses nothing from Quake and almost nothing from Daikatana (that needs to change though obviously, but most of that is just placeholder content). 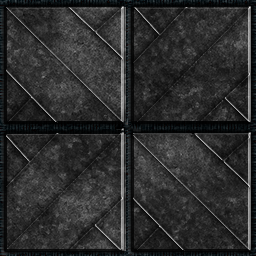 All textures we use were made from scratch by both me and Eukos, in slightly higher-resolution, using the original texture set as inspiration. mankrip wrote: Where did the idea of this project come from? What inspired you to do it? I used to do a lot of work with the Source Engine, but I wasn't really learning much from what I was doing with it and eventually decided to throw myself into something else for a change. 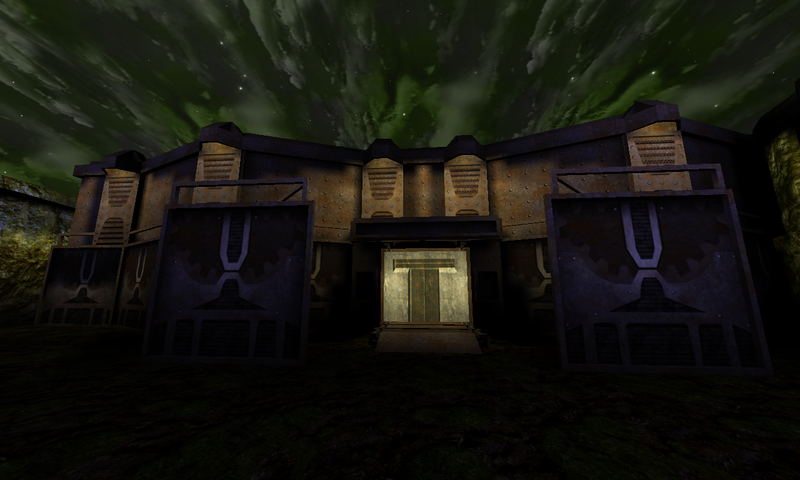 I'd decided to try and figure out the differences between the base GLQuake engine and the additions that'd been made to the GLQuake engine used for Daikatana's alpha; I'd never done anything with file formats and such before, let alone anything major with the Quake engine, so this seemed like a good opportunity to learn new things. This was back in June 2011, and this is also when I decided to use FitzQuake as the engine of choice for a lot of this, purely because it just seemed like a cleaned up GLQuake with some additions that at the time I didn't care all that much for. I got fairly far with that I suppose, eventually I started trying to see if I could remake some of the levels using screenshots as reference just as something to do at the time, and then eventually Eukos joined in August, then proceeded by us receiving an archive of content from Daikatana's development, including a collection of builds from 1998 up until it's final release (some of these are public now); but I think that last part, oddly enough, was what drove us into making this into more of an inspired game rather than just a simple remake. There were just about all the levels from Daikatana's development included in this archive, which made a remake seem a little pointless to me when, practically speaking, just about everything was there and done. There's loads more to say about this project and how it developed into what it is now, but I guess we'll leave that until a post-mortem or something; we have a collection of early OpenKatana builds to release at some point anyway since they're almost completely different to what we have now (including incredibly messy QuakeC code, yay). But doing a remake on a game that was still in development just doesn't work out too well, you could only produce something awful unless you put your own thought into it and hence why we're doing a bigger job now than what we originally wanted to do. Not to say it couldn't still come out awful, but it just hopefully means we'll have something a little more like a game and less of just a collection of incomplete ideas. mankrip wrote: What are the main differences between OpenKatana and Daikatana? There's actually a lot of differences I could go through... Daikatana is obviously based on the Quake II engine, while OpenKatana is based on a heavily modified FitzQuake engine (which is obviously based on GLQuake), for a start. Additionally just about all the characters in the game are slightly different than those from Daikatana, we threw out the names and thought of new ones (Hiro is still Hiro though, but his full name is now Hiro Hiyazaki). All the weapons have/are being redesigned from scratch. 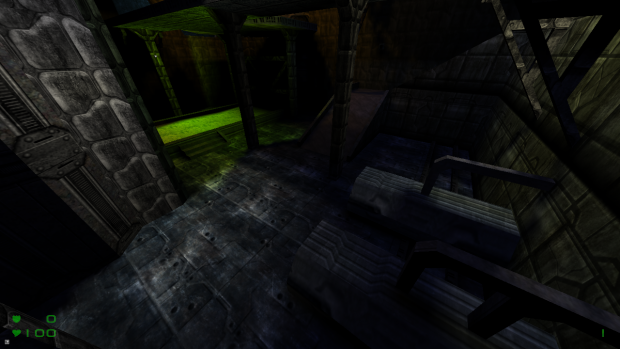 OpenKatana will probably be a tad darker in tone than Daikatana. We have a completely different soundtrack, it's a little more ambient and abstract. In some respects, OpenKatana should look better than Daikatana. A lot of the levels in OpenKatana are built upon some of the original 1996 levels with some really heavy modifications (entire portions have been completely shifted around), so levels will be completely different than Daikatana, so don't expect to see the same stuff. 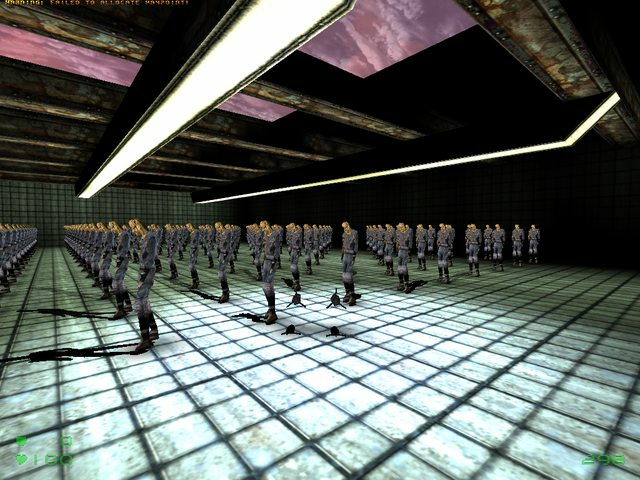 mankrip wrote: OpenKatana's graphics looks really good, by the way. Specially the textures - and the green clouds are wonderful. It sounds like an "alternate universe" story then. Nice.